When I plopped my stack of books on the counter to check out, the librarian placed her hand reverently on the collection, furrowed her brow, parted her lips in a weak smile, and said, “Rereading the Classics?” I had the distinct impression that she meant, “Aren’t there any other books among the thousands on the shelves that would do for summer reading?” I chuckled and said that I was preparing for classes in the fall. She exhaled with great relief and wished me well. I was flattered that the librarian assumed that I had already read these ancient classics. If they were part of my high school studies, I was snoozing. Is there really any value in reading the battles of Beowulf and Grendel or the voyages of Odysseus? Or nah, as a modern teenager may reply. 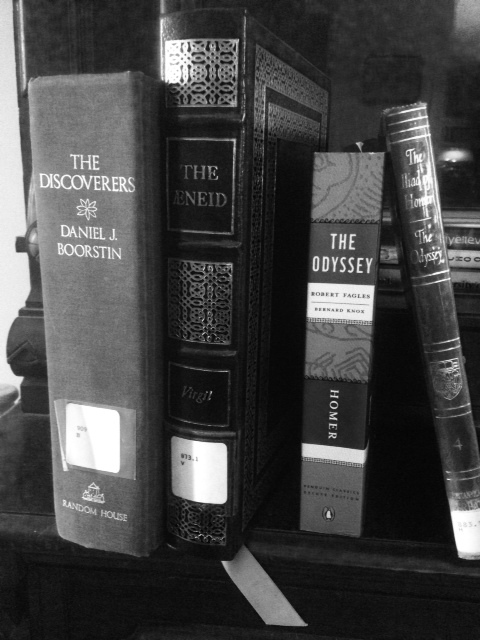 Here are 3 reasons why studying Ancient Classic Literature, such as Beowulf, The Iliad, The Odyssey, and The Aeneid, is valuable. 2. Gives insight into World Cultures. If you’ve never read the ancient classics or it’s been so long that you don’t remember, then find a modern translation in book or e-audio, spread a towel on the beach, and set sail on an ocean of adventure. I love The Odyssey. If these classic books are taught well, boys will love the action and adventure of these books. I always thought they taught them horribly in school. I’d read them on my own time and enjoy them but somehow the teacher sucked all the fun out of them.